We create a well-defined, market-tested process for working with clients on award-winning social strategies, be it across the entire social media marketing mix or the small-scale plans for product launches. We build custom roadmaps for success aligning audience, objectives, strategies and tactics in a way that achieves specific, measurable results. Since 2008, Thinktank Social have been helping with companies in Australia and around the world stand apart from their competitors, remain front-of-mind in their individual markets and attract more business opportunities utilising social media marketing tactics. Thinktank Social can develop and execute on bespoke Social Media Campaigns designed to drive social engagement, capture data and boost the visibility of a new product or service for your organisation. Our advisory service is designed to work collaboratively with your in-house social media team to develop an overarching strategic direction, and a logical measurement plan, upfront. Following this, we’re then thete to support you as needed over the long haul, helping you apply and stay accountable to that strategy in an ever-changing space. Social Media Influencers are an essential component of a brand’s earned media marketing program. Thinktank Social can leverage our own influencer network for your campaign or manage external influencers on your behalf, ensuring social media brand guidelines are met and content produced is aligned with the overall strategic objectives. 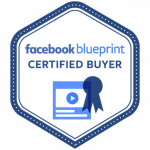 As a Facebook Blueprint Certified Buyer, Thinktank Social has perfected the art of strategic Facebook Advertising and can help your business attract more leads and new business at a fraction of the cost of traditional marketing.